Refusing to shy away from terrorist connections, Ehsanullah Ehsan promotes himself on the site as the spokesperson for Pakistani Taliban splinter group Jamaat-ul-Ahrar. The militant leader, who describes himself as “self-employed,” provided details of his education, employment history and language skills. The profile also included a picture. The LinkedIn account was taken down after the network was approached by reporters from the Telegraph on Friday. A company spokesperson told the paper that a security team had decided to“restrict” the account, however she said that a lack of “Taliban recruiting messages” suggests it may be a fake. In 2012, Pakistani authorities placed a one million dollar bounty on Ehsan, at the time the spokesman for the Pakistani Taliban. It came after the group claimed responsibility for an attempt on the life of Malala Yousufzai, who had been campaigning for girls’ education. 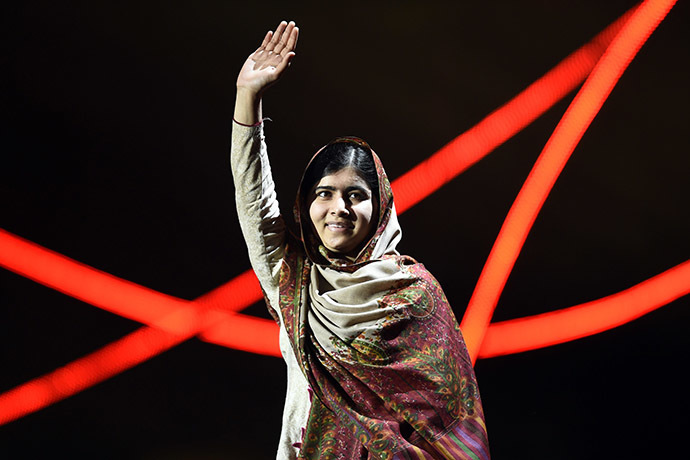 Malala, widely praised for her courage, went on to win the 2014 Nobel Peace Prize. Jamaat-ul-Ahrar was formed by Ehsan and other militants in August 2014. In November, in a series of tweets, Ehsan claimed that the group was responsible for a suicide bombing that killed more than 60 people near the Pakistan-India border last November. He later issued several other tweets threatening India’s Prime Minister Narendra Modi. In October, the militant group threatened attacks against the UK in response for the London arrest of Anjem Choudary, a radical Islamist cleric, and eight other extremists. A close ally of Choudray, Misra Tariq Ali, a British surgeon, has fled Britain to join Ehsan in hiding, The Telegraph reported. Soon after, the duo featured in a Taliban recruitment video taunting the Pakistan Army and calling for soldiers to rise up against their leadership.